Not All The News About Detroit Is Bad : The Two-Way The city's filed for bankruptcy protection. But there are reasons for hope. Some wealthy investors, for example, have been pouring money into the downtown. And if you love sports, love music and love Greek food, the city has much to offer. 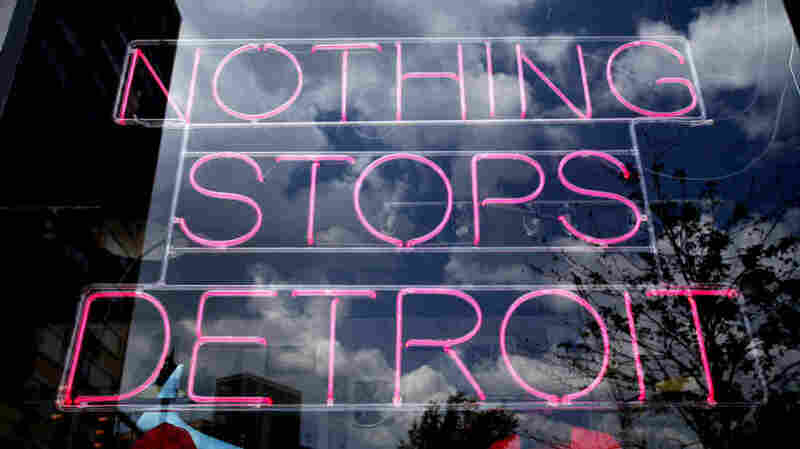 This Detroit store's neon sign sends a message.